It was a TOUGH day of judging as all of our competitors were prepared, creative, focused and well rehearsed. Yes, the George Sutton Toastmasters club produces rising stars! Special, special, special thanks to our Toastmaster for the Day leading the fabulous contest in a professional and well-organized manner was our VP Education, Ron Tickel! We will be inducting 2…and possibly 3 new members next week! 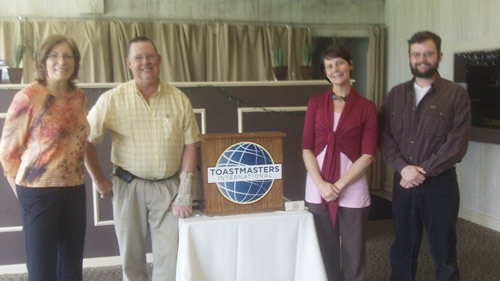 The George Sutton Toastmasters club is growing. Why not come visit us? You are welcome!